Earn $2.34 in Rewards credit (234 points) What's This? Bring your 2010 and later Eggbeater, Candy, Mallet, or 5050 pedals back to life. 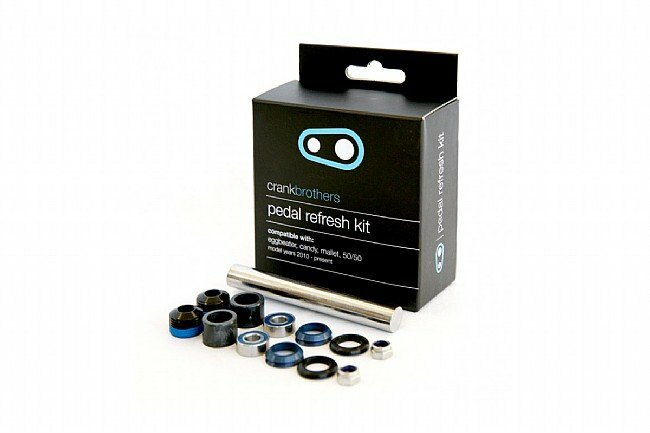 This Crank Bros Pedal Refresh Kit includes parts for rebuilding one pair of the aforementioned pedals. Easy to follow instructions for this very straightforward service. One of my Candy spindles was pretty scored and I would have replaced as well if I had the part handy. Pedals run smooth again.